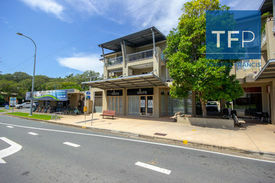 5 Commercial Real Estate & Properties in Currumbin Waters are listed in 2 categories. We have 3 Industrial Warehouses Sale and 2 Retail ShopsSale . Buy one or buy both of these two ground floor retail shops currently fitted for a food retail. Plug in and go in this tightly held holiday mecca in what is Gold Coast best kept secret location Currumbin. FEATURES Total shop area of 133sqm 2 basement car parking spaces. Exclusive use weather protected alfresco. This offering has serious potential for the astute hardworking owner operator or investor seeking to dilute risk by leasing together or individually. Opposite Currumbin Creek and reserve, with a pleasant funky vibe. Comes with extensive food retail fit out ready to walk into and start trading immediately. Fully approved, reticulated to the grease trap you wont find this anywhere else!~ PRICE: $1,150,000 + GST if applicable or purchase individually for $525,000 and $625,000 accordingly. For more information or to arrange inspection, contact exclusive marketing agents. Tenanted Investment Property PRICE REDUCED! This property is situated one block back from Currumbin Creek and the M1 Motorway. Long standing tenant, great return and one for the superannuation fund. A 630m2 allotment with gross rental of $49,800 per annum inclusive of outgoings and GST and $43,606.00 plus nett Outgoings. Shrewd Investor will inspect early!